In the Historic Third Ward of Milwaukee, there are two areas in the 100 and 200 blocks of Broadway called "Mid-Block Parks". The Mid-Block Park structures fit neatly between the street and sidewalk, are rectangular with two sets of stairs leading to a raised concrete stage. The sides are red brick; a transparent roof material cover allows sunlight to enter and protects against rain; a decorative teal colored metal rail surrounds the stage; and roof supports and lighting match the rail. In 1992, the Business Improvement District had undergone a $3.4 million streetscapes project to improve the look and feel of the neighborhood. Peter Renner of Renner Architects was the designer. The renovation included the creation of Catalano Square, the two Mid-Block Parks on Broadway, 285 pedestrian light poles, two identifying entry arches and other touches throughout the Ward. While the Mid-Block Parks do not currently host regular musical events, during the Art Festival weekend they have been home the Summer Sizzle Jazz Festival. 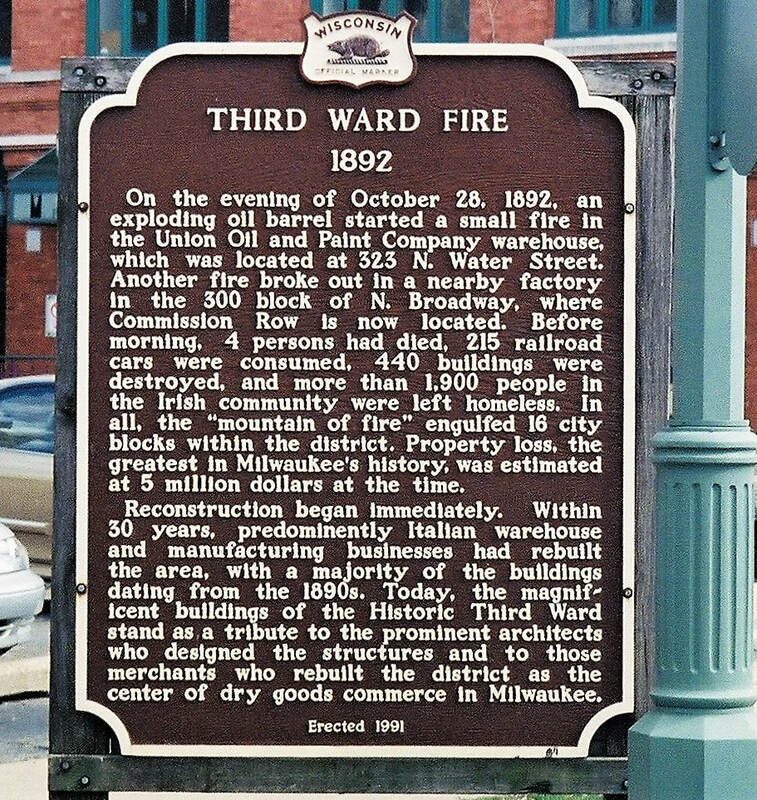 ​The Historic Third Ward is on the National Register of Historic Places. It was added in 1984 and consists of 440 acres and 71 buildings. It is bound by the Milwaukee River, C and NW Railroad, and East St. Paul and North Jackson Streets. The Third Ward is now a vibrant area with specialty shops, restaurants, art galleries, theater groups, businesses, and condominium housing. The Milwaukee Institute of Art and Design and the Broadway Theatre Center are located here. Milwaukee Summerfest grounds are conveniently nearby. Local government, private investors, and historic preservations have contributed to its success.